If you try Simply Delicious Morsels, please comment with your feedback. It helps others! In the meantime, I have some of the key details for you. Nestle Tollhouse is announcing their Simply Delicious Morsels now, in honor of Food Allergy Awareness Week. But they will officially be rolling out in stores in June. Once available, customers should look for the Simply Delicious brand with a teal ribbon across the packaging – another nod to food allergy awareness. And of course, double check the ingredients to ensure you pick up the right chocolate chips. 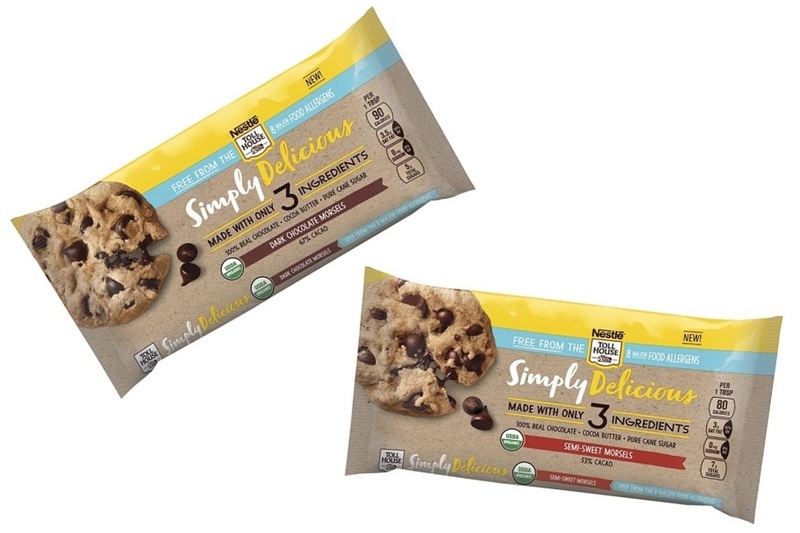 The allergy-friendly Simply Delicious Morsels are launching in two varieties. Ingredients – organic cane sugar, organic chocolate, organic cocoa butter. Ingredients – organic chocolate, organic cane sugar, organic cocoa butter. Simply Delicious Morsels are a great option for bakers who want to feel confident that the ingredients they are using are high-quality, taste great and are safe for all to enjoy, including those with any of the eight major food allergies. 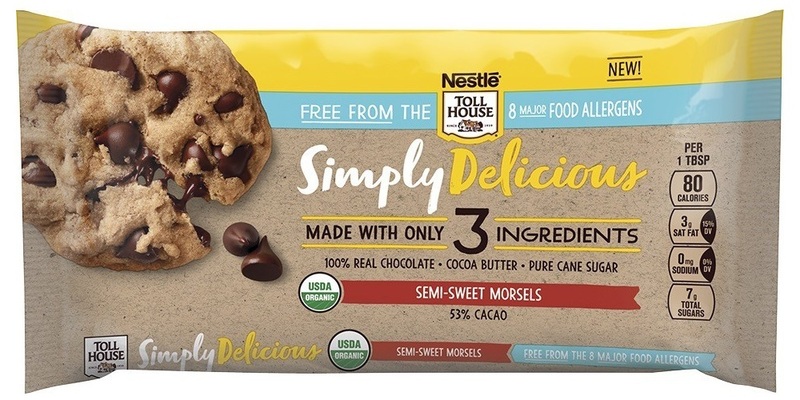 Availability: Nestle Simply Delicious Morsels will start appearing in store in the United States on June 15, 2018. They should be widely available. 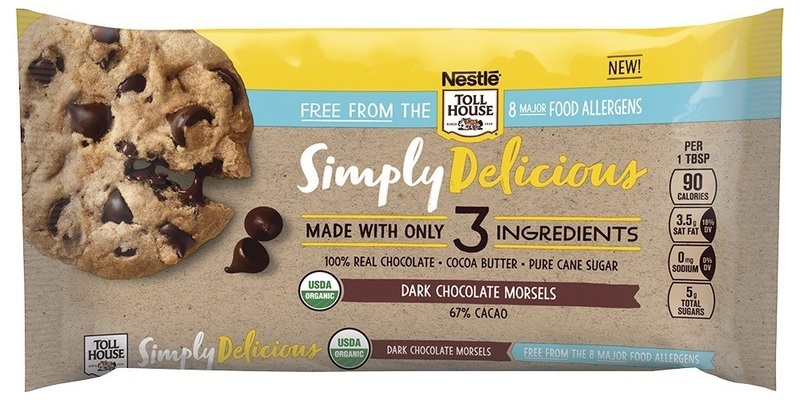 Certifications: Nestle Simply Delicious Morsels are Certified Organic. Dietary Notes: By ingredients, Nestle Simply Delicious Morsels are dairy-free / non-dairy, egg-free, gluten-free, nut-free, peanut-free, soy-free, vegan, and vegetarian. Nonetheless, always read the ingredient statement and check with the company on their manufacturing processes for all varieties if potential allergen cross-contamination is an issue for you. Processes and labeling are subject to change at any time for any company / product. 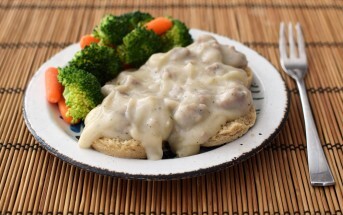 For More Product Information: Visit the Nestle Toll House website at www.verybestbaking.com. Need a classic “Tollhouse” recipe that’s dairy free with egg-free and nut-free options? Our favorite is in my book, Go Dairy Free along with more great dairy-free chocolate recipes! I have a company, Leahey Foods. We produce vegan and gluten free products. 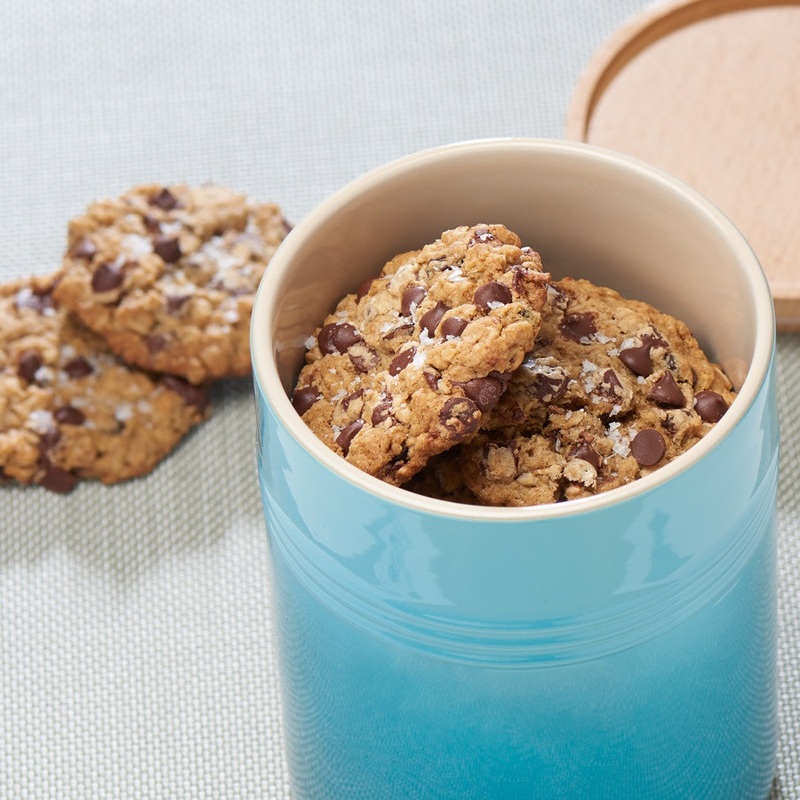 One of my products is chocolate chip cookies. I need the chocolate chips for this product. I cannot find the chips in my area. Could I purchase them directly from your company? Hi Nancy, we don’t sell any products ourselves. I’m not sure who you would order these through. I’m not sure if Nestle does direct sales. I tried the dark chocolate morsels with butter flavored Crisco in a chocolate chip cookie recipe and got lactose symptoms. Would love to hear from others if they experienced any reactions. That’s a bummer! They are supposed to be made allergen-safe, so that does seem strange. Do you use butter-flavor Crisco often without symptoms? I don’t know! That would be great. Just learned of these. Any info on production facility? Is it truly top 8 allergen free? I couldn’t tell you as I haven’t seen them yet myself nor have I gotten any feedback from the company yet. They are labeled as allergy-friendly though. That’s great to hear! Thanks for sharing Jenn. Always looking for ingredients that are nut free.